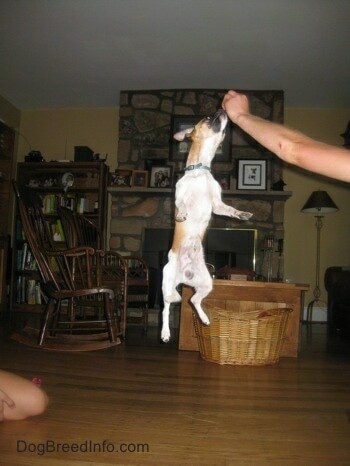 Scooby the Chug (sometimes called a Pughuahua) is like a springboard. 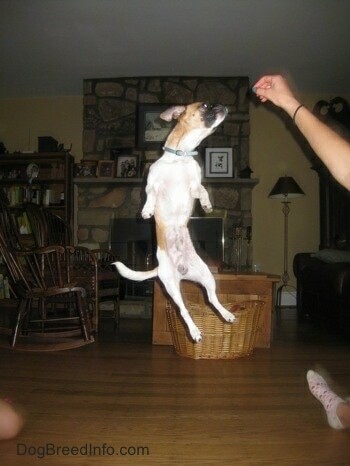 He'll jump really high for a treat! 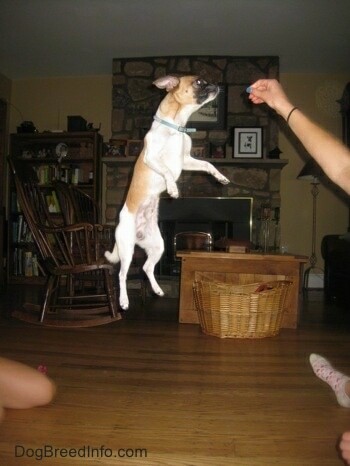 Scooby the Chug (sometimes called a Pughuahua)—Chihuahua / Pug hybrid dog jumping for a treat. 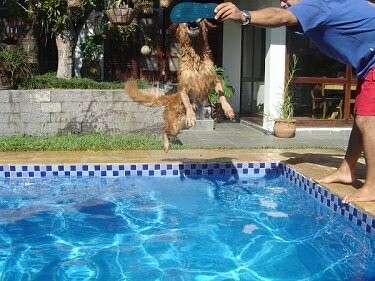 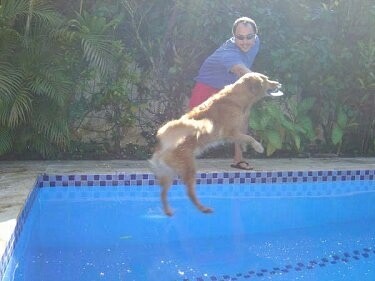 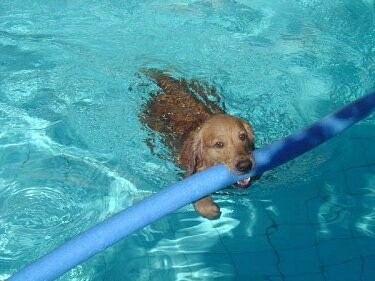 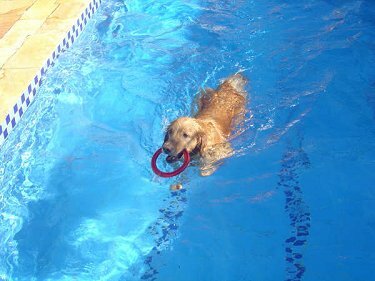 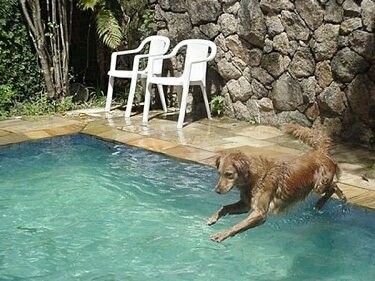 Meet Witch Christina the Golden Retriever going for a swim! 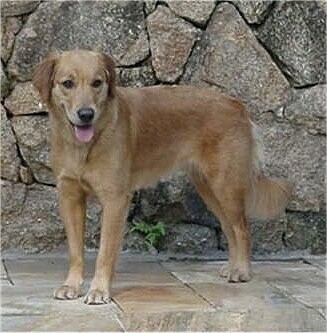 She is from São Paulo, Brazil. 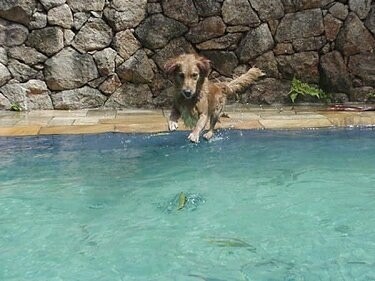 Witch Christina LOVES to swim in the pool! 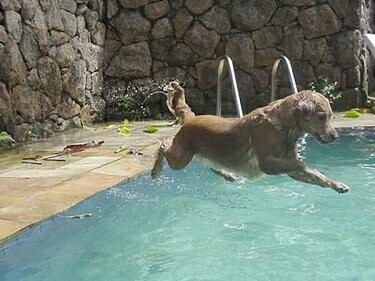 This is her in mid-jump.